After much success with our RAGE Rescue program, we have decided to continue helping local pups find homes by featuring more dogs from DFW Rescue Me. We'll call this blog item "Canine Corner", and we'll post an available dog each week. 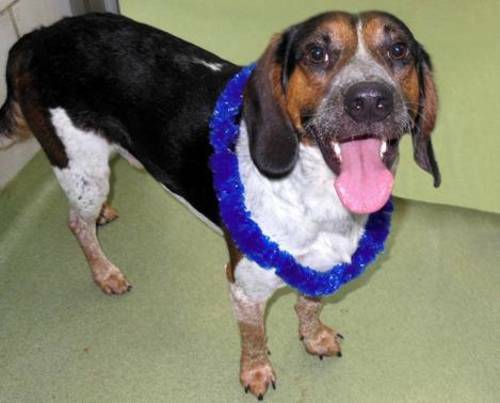 Drayden is a 3-year-old Bluetick Hound mix who weighs about 40 pounds. He's neutered and up-to-date on all his shots. He's a very friendly boy, and he would be great with a family who has kids. These are very smart dogs who learn quickly. To find out more about darling Drayden, please click here.